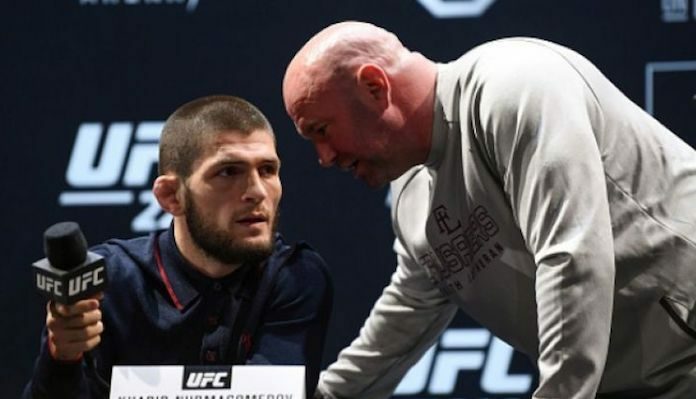 Khabib Nurmagomedov and Conor McGregor are both currently under suspension from the Nevada State Athletic Commission (NSAC), this for the melee that occurred after UFC 229. A final hearing to determine their punishments is set for December 10. What the NSAC plans to do remains a mystery. The most extreme punishment would be to strip both fighters of their respective licenses, this in addition to issuing fines and lengthy suspensions. Ultimately, that seems unlikely to happen. UFC President Dana White appears has no idea what form of punishment the NSAC plans on dealing out to “The Eagle” and “Mystic Mac”, but he does think anything over a year in terms of suspensions would be unfair. Although the NSAC has yet to make their official ruling, Dana White is already weighing his options for the lightweight division. If the brash UFC boss has his way, current UFC lightweight champion Khabib Nurmagomedov will at last take on Tony Ferguson. As for Conor McGregor, Dana White is hoping to book the Irish star in a rematch with Dustin Poirier. Ultimately, the winners of those two proposed fights would eventually face off. Although that is the UFC President’s plan, nothing can be booked until the punishments are handed down. For now, Dana White has to book fighters that are available. If Nurmagomedov does indeed get suspended for a year, there is a legitimate possibility that he would be stripped or an interim belt would be created. The hope is the suspension isn’t a year, and the division can move on.